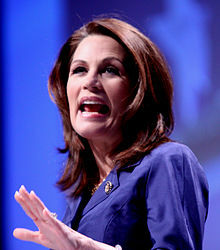 ^ https://www.nytimes.com/2011/07/17/us/politics/17bachmann.html. ( Neroulias, Nicole (July 25, 2011). "Poll: Americans want religious presidents, but are vague on details". Religion News Service. Archived from the original on September 12, 2011. Retrieved August 6, 2011. ). 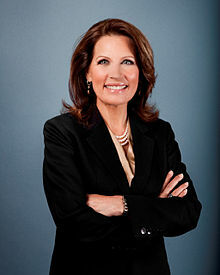 ^ a b c "GOP's Bachmann seeks to repeal Dodd-Frank…completely". MarketWatch. 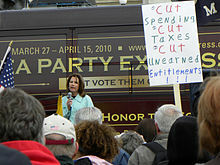 January 6, 2011. ^ Boston, Rob (July – August 2010). "Stealth Evangelism and the Public Schools: Improper Proselytizing Opposed". Church & State. 63 (7): 7–10. 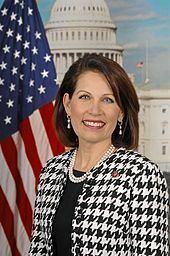 ^ https://www.facebook.com/erik.wemple. 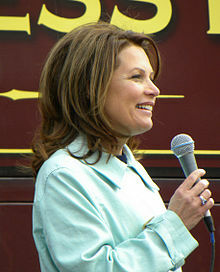 "Rep. Michele Bachmann slams gay agenda on radio show". Washington Post. Retrieved August 23, 2018.